The Professional Numismatists Guild (www.PNGdealers.org) now is accepting nominations for its 2019 awards, according to PNG Executive Director Robert Brueggeman and President Barry Stuppler. 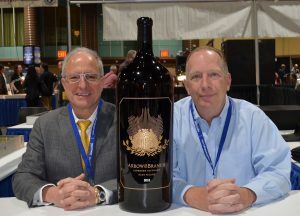 A Napa Valley California wine company, whose name was inspired by the design of the fabled 1787 Brasher Doubloon once owned by the vineyard proprietor, has created a mega-size bottle of fine wine standing over 2½ feet tall and weighing about 60 pounds. 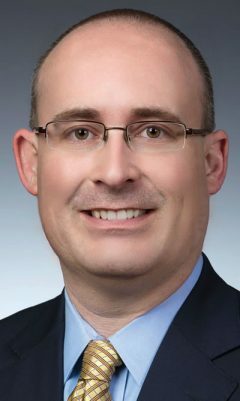 Heritage Auctions has announced that Dustin Johnston has been promoted to Vice President. For the 15th year in a row, the Professional Numismatists Guild (www.PNGdealers.org) will offer a scholarship to attend one session of the annual American Numismatic Association (www.money.org) Summer Seminar in Colorado Springs, Colorado. 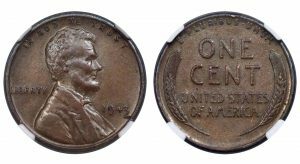 Heritage Auctions’ early January numismatic sales topped $71 million for the fourth consecutive year, the company announced Jan. 18. 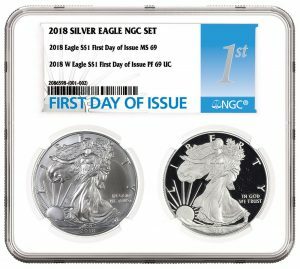 Numismatic Guaranty Corporation® (NGC) has announced a new NGC Small Multi Coin Holder, a single holder that can encapsulate two coins. 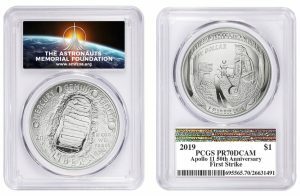 The Astronauts Memorial Foundation (www.amfcse.org), a nonprofit organization that honors and memorializes those astronauts who have sacrificed their lives for the nation and the space program by sponsoring the Space Mirror Memorial, and by implementing innovative educational technology programs, has selected Professional Coin Grading Service (www.PCGS.com) to create a special label to celebrate the launch of the Apollo 11 50th Anniversary Commemorative Coins. 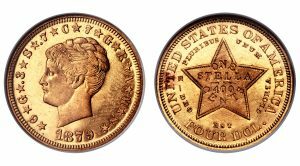 The Long Beach Expo will host an in-depth Numismatic Crime Investigations class on Jan. 31, 2019 in Long Beach, California. 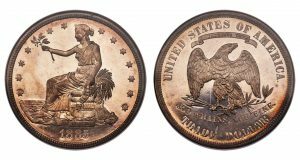 The finest-known 1885 Trade dollar — among the rarest and most enigmatic issues in all of American coinage – sold for $3,960,000 million through Heritage Auctions Thursday evening, Jan. 10, following a winning bid cast by collector Dell Loy Hansen of Logan, Utah.